[UPDATE: April 19] The police are looking for a man who is believed to be the e-scooter rider involved in a hit-and-run accident that took place at Ang Mo Kio Avenue 5. They shared two photos of the suspect on Wednesday (April 18) and appealed for information. The incident has been classified as a case of rash act causing hurt. 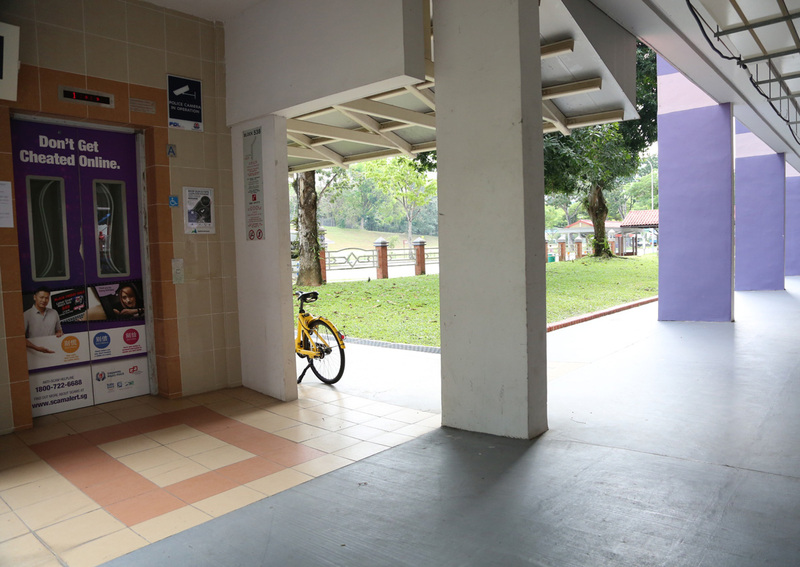 A 65-year-old woman was left injured after an electric scooter rider allegedly knocked her down at Block 538, Ang Mo Kio Avenue 5 on Tuesday (April 17). According to a Facebook post by her daughter Ms Sharon Sim, the incident occurred at the block's lift lobby at 5.25pm. 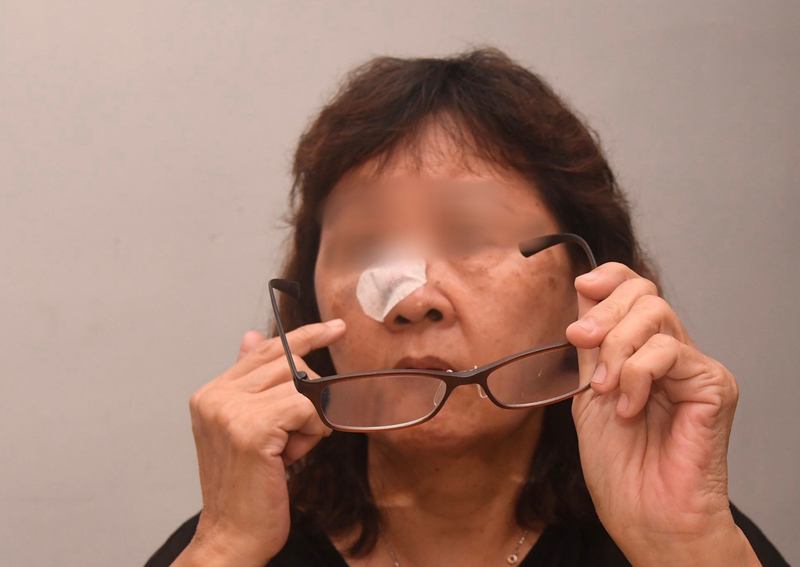 Ms Sim's mother, who was on her way to pick up her granddaughter, had exited the lift and turned right when an e-scooter rider allegedly "knocked her from behind". Ms Sim said both her mother and the rider "fell sprawled onto the ground". She also shared photos of her mother's injuries which include a cut on the nose, as well as bruises on her knee, elbow, and ribs. "Five ITE students were nearby (three boys, two girls) then attended to her and bought plasters from the shop downstairs," added Ms Sim. She wrote in her post: "Rider didn't help at all. Mum grabbed the rider to prevent him from escaping but he rode away quickly. Rider seen riding towards common rubbish chute area near Blk 537 and 533 after the accident. "Dad gave chase and last saw rider riding towards junction of Ave 3 where AMK Police Station was located." A police report was subsequently lodged at the station. Ms Sim, who is appealing for the e-scooter rider to come forward, said in her post: "You're lucky. My mum didn't call 999 immediately as she wanted to pick her grandchild from school and didn't want to be late. "You're lucky. Because my dad is old and couldn't give ample chase. "My mum isn't so lucky; you've scarred her face permanently and prominently." She is also looking for the students who helped to stop her mother's bleeding, hoping she can thank them in person.